The Ortovox Patroller Digital was discontinued in 2013. Summary: The Ortovox Patroller Digital is a three-antenna digital transceiver that evolved from the Ortovox D3, whereas the Ortovox Patroller (without the "Digital") is an analog/digital transceiver that evolved from the X1. 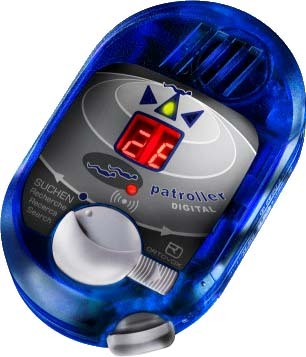 I have not tested the Patroller Digital. Cons: Short range, two-digit display, only three direction indicators.